TDI-Brooks as a subcontractor of Drebbel de Mexico out of Cd. del Carmen has its geotechnical kit mobilized on the MV NATALIE a Mexican flagged vessel. 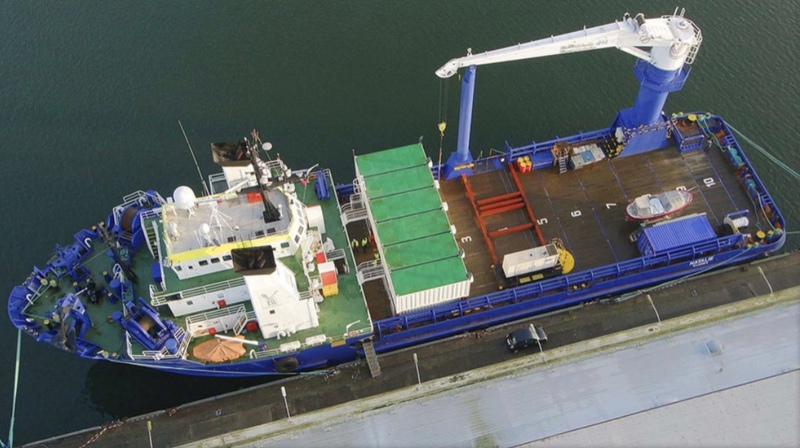 The NATALIE is a DP-1, 67.5 m OSV with accommodations for 33 people well-appointed for geotechnical projects with a geotechnical laboratory and core storage area. The NATALIE is currently outfitted with TDI-Brooks ‘light’ geotechnical kit with the ability to acquire 6-9 m long piston cores, box cores and 6-9 m gravity CPTs (gCPTs). 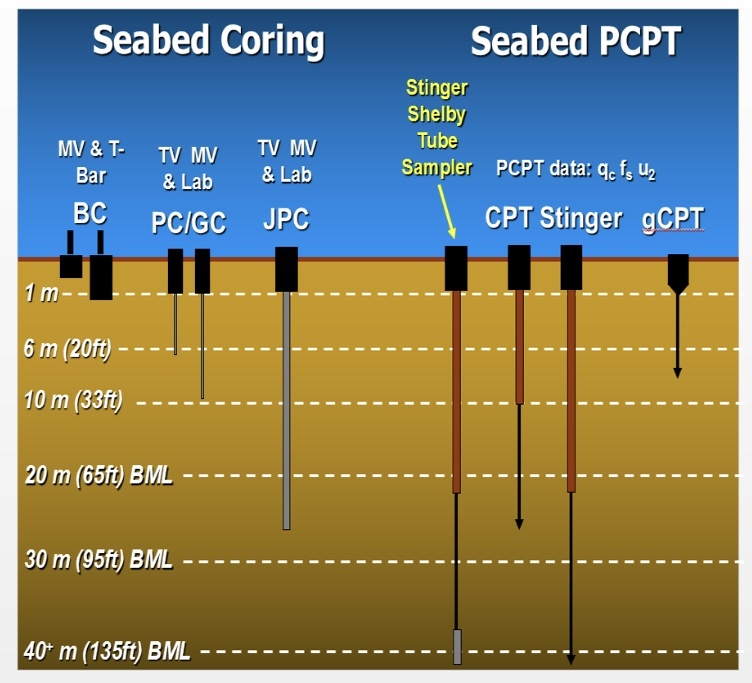 TDI-Brooks plans to also outfit the vessel shortly with our ‘heavy’ geotechnical kit that includes our 20-m Jumbo Piston Core (JPC), 40-m CPT-Stinger and 40-m Stinger Sampler (see figure below). 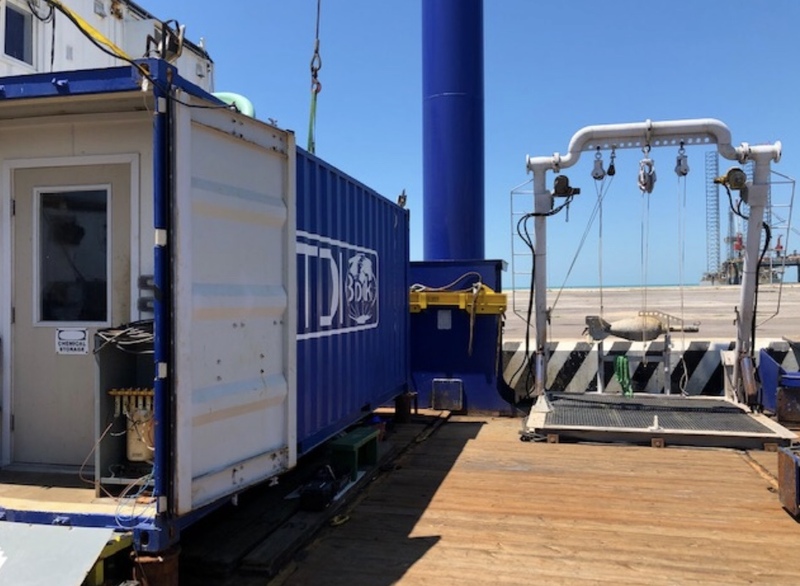 The vessel is currently actively conducting geotechnical surveys along pipelines in the Gulf of Campeche for Drebbel with a full TDI-Brooks geotechnical field and laboratory team onboard. TDI-Brooks has conducted more EBS projects over the last two (2) year in Mexico than any of our competitors all safely and efficiently without any incidences. TDI Brooks maintains a state-of-the-art laboratory facility in College Station, Texas that provides high-quality analytical services and scientific interpretation. 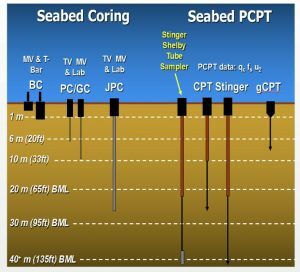 Our environmental, geochemical, and geotechnical laboratories are staffed with highly skilled scientists and chemists who have worked in partnership with federal and state agencies as well as the private energy and environmental industry for over 20 years.